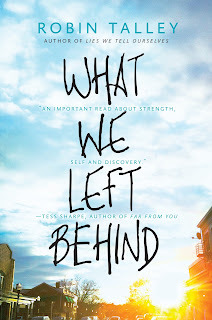 Welcome to Day #4 of the What We Left Behind Blog Tour! 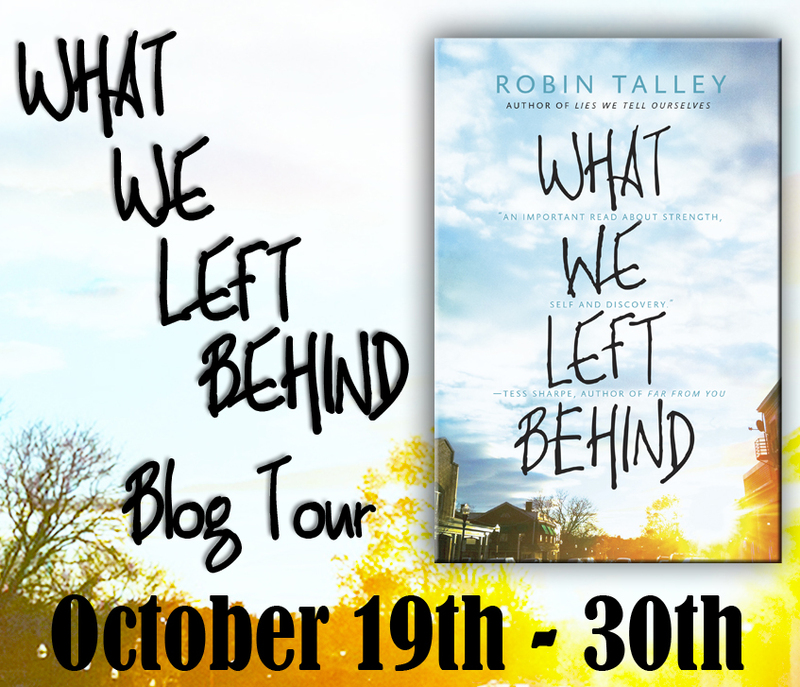 To celebrate the release of What We Left Behind by Robin Talley (10/27/15), blogs across the web are featuring exclusive content from Robin, as well as 10 chances to win a copy of What We Left Behind or a 7-book LGBT YA Prize Pack chosen by Robin herself in the Grand Prize Giveaway! George by Alex Gino. I’m cheating here, because this book is middle grade. But, for real, I can’t even tell you how many times I cried reading this story. 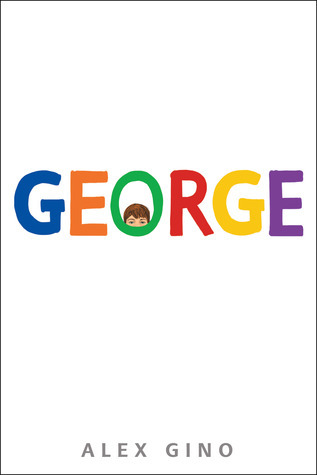 George is about Melissa, a fourth grader who knows she’s a girl, even though no one else sees her that way. It all seems so simple to Melissa, though, and her voice and perspective are both utterly engrossing. Even if you’re not usually a middle-grade reader, you should pick this one up. It’s a quick read and incredibly moving. Just Girls by Rachel Gold. 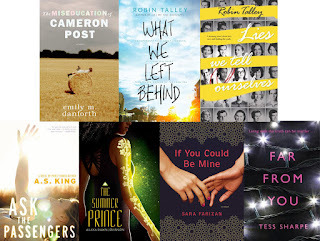 This contemporary realistic YA is told from two perspectives during the characters’ first year of college. The main character is a trans woman trying to make a fresh start at college, and her new roommate is a cisgender out-and-proud lesbian dealing with a complicated dating life. The characters in this book get into lots of extensive discussions about queer and feminist politics, so if you’re a dork for that kind of thing (which I totally am), you’ll love it. Transparent by Cris Beam. 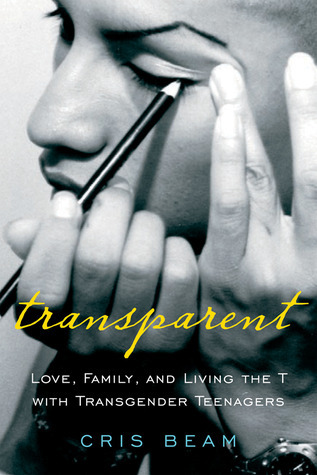 This is a fascinating work of nonfiction following a number of transgender teenagers, primarily girls of color from low-income backgrounds. 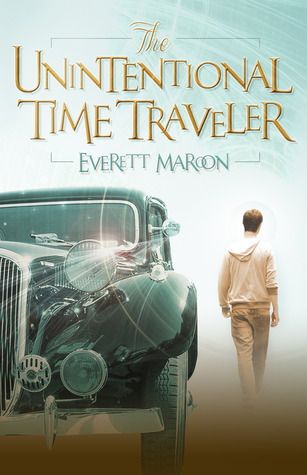 I learned a ton from this chronicle of their lives. There’s also a lot of heartbreaking information about the incredible unfairness of the criminal justice system and the impact it can have on the lives of kids who are just trying to make their way in the world. Symptoms of Being Human by Jeff Garvin. This one isn’t out until 2016, but I got to read an early copy of it and wow, I’m so glad this book exists. 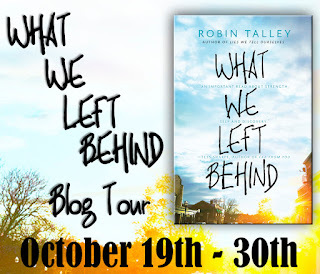 It focuses on Riley, a closeted genderfluid teenager whose dad happens to be a congressman in Orange County (which is among the worst things your dad can be if you’re a closeted genderfluid teenager). Riley starts an anonymous Tumblr-type blog about gender identity that quickly develops a massive following, making it harder and harder for Riley to stay in the closet. I wish I could make this mandatory reading in high schools and middle schools, because Riley’s story is incredibly relatable and could provide an essential window (and mirror) for teen readers. 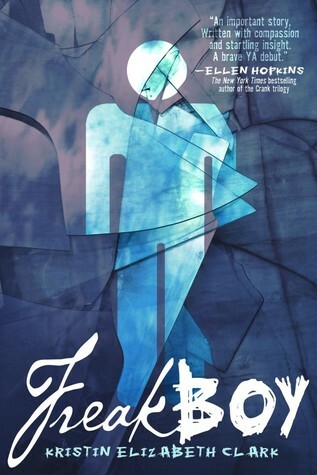 Freakboy by Kristin Elizabeth Clark. 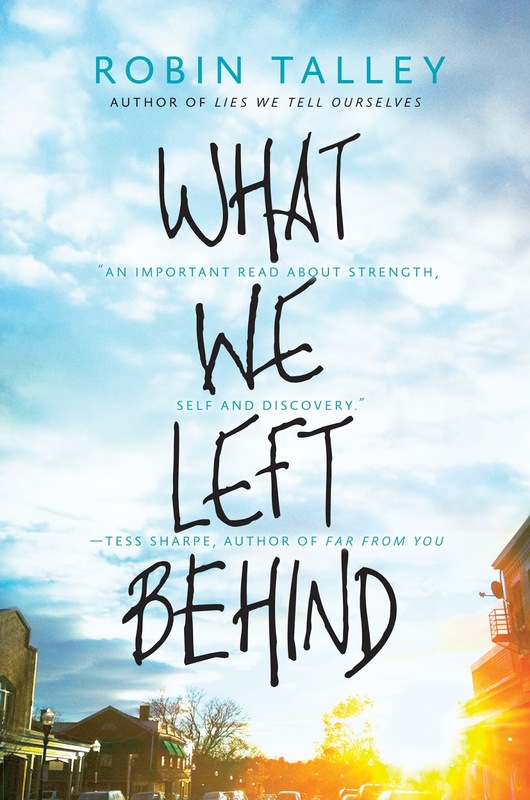 This novel in verse follows three main characters, including a trans woman, a cisgender girl, and a genderfluid teenager, who are grappling with identity and how it affects their relationships with the people around them. The three of them are very, very different, but the book compels you to empathize with them all. Also, two bonus titles, because I’m a horribly slow reader and haven’t read these two yet, but I’ve heard fantastic things about both of them: Lizard Radio by Pat Schmatz Gracefully Grayson by Ami Polonsky Happy reading! Stop by Great Imaginations tomorrow for Day #5 of the tour! From the critically acclaimed author of Lies We Tell Ourselves comes an emotional, empowering story of what happens when love isn't enough to conquer all. Toni and Gretchen are the couple everyone envied in high school. They've been together forever. They never fight. They're deeply, hopelessly in love. When they separate for their first year at college—Toni to Harvard and Gretchen to NYU—they're sure they'll be fine. Where other long-distance relationships have fallen apart, their relationship will surely thrive. The reality of being apart, however, is a lot different than they expected. As Toni, who identifies as genderqueer, falls in with a group of transgender upperclassmen and immediately finds a sense of belonging that has always been missing, Gretchen struggles to remember who she is outside their relationship. While Toni worries that Gretchen, who is not trans, just won't understand what is going on, Gretchen begins to wonder where she fits in Toni's life. As distance and Toni's shifting gender identity begins to wear on their relationship, the couple must decide—have they grown apart for good, or is love enough to keep them together?